The Great One Rob Leatham loves to comment on how simple good shooting really is. “Just hold the gun really still, line up the sights and press the trigger without disturbing the gun.” Sounds simple, but it is more difficult than it sounds (though Rob does make it look that easy). With the growing awareness of Dry Fire as a good practice to sharpen and master shooting skills, I want to introduce a training drill that I've been using and have found quite valuable. I'm not sure if I made this up or read about it some time ago but I think there is value in this simple approach. I call it the Boresight Drill and essentially the purpose of the drill is to test your ability to press the trigger without disturbing the gun. Insert a boresight into your firearm. Some boresights go into the chamber and others go into the end of your barrel. Turn it on and insert per the instructions. You should now have a constant-on laser projecting from the muzzle of your firearm. Take aim at your dry fire target of choice. Observe the red dot. Hold it as steady as you can on target. How did you do? Your ability to press the trigger without disturbing the sights is illustrated by the steadiness of the red dot projected by the boresight. The idea of using laser tools like a laser simulation gun or a laser ammo type insert is not new but those tools are designed to project only momentarily. Different from those tools, the boresight will remain on constantly until turned off. This gives you EXTREME and constant feedback about your ability to hold the firearm steady during the firing cycle. 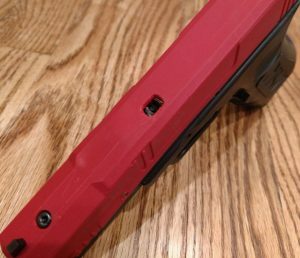 If you own any SIRT training pistol you can also run this drill by turning on your “take up laser” (the little button on top of your slide). 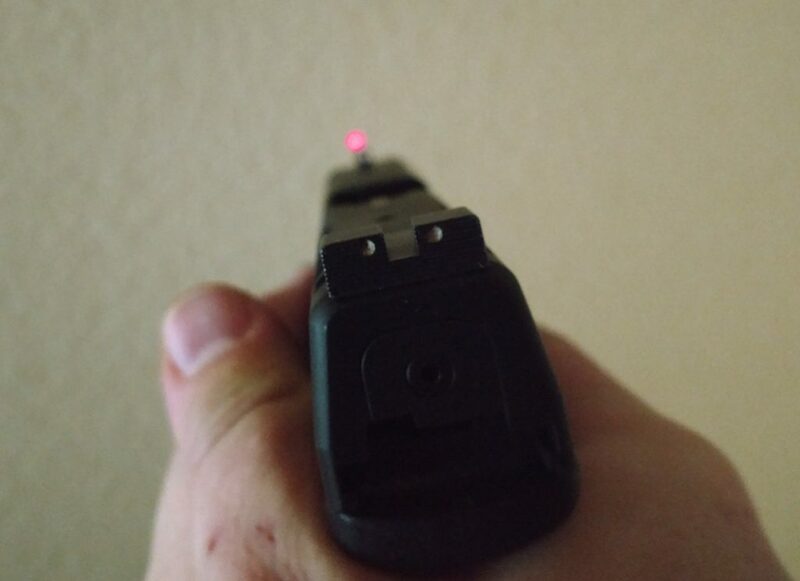 This will turn on a laser that comes on as soon as you start to take up the slack in the trigger and will keep it on until you fully release the trigger out. 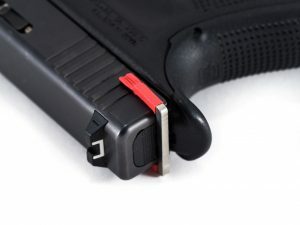 For you Glock owners you can dramatically enhance this drill by installing the Glock Easy Trainer to your firearm and pressing the trigger repeatedly with the boresight turned on. Now you have multiple repeat shots with visual feedback without having to rack the slide or work the hammer. Use the MantisX in conjunction with this drill and in addition to the red “path” on the target telling you how the gun moved, your MantisX will tell you WHY it moved. This drill is a good way to play with your grip and stance in a live testing environment where you are getting immediate visual feedback to tell you if what you are doing is working. Give it a shot and let me know in the comments below how you like this drill, or what other drills you love to use in dry fire practice! I am from the old school that was taught that it was a mortal sin to dry fire a weapon and I find it hard to retrain my old brain. Is it safe to dry fire all weapons without damaging the firing mechanisms? I am mainly concerned for the striker-fired type weapons. Larry the debate continues on with plenty of people on both sides. You can also insert a magazine with dummy rounds while performing this drill.